Do you remember the day you first met? How was your first holiday together? How did you propose to your partner? What’s the most original compliment you’ve ever been paid? What’s the secret to keeping love alive? Relive your most romantic experiences with us! 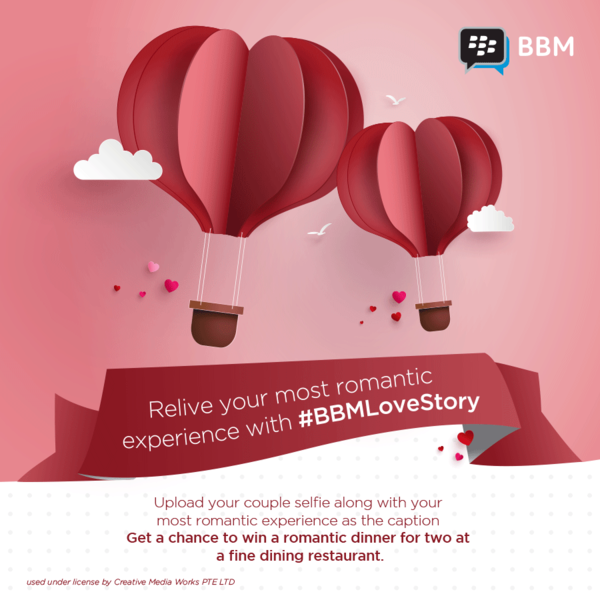 Take part in our #BBMLoveStory contest! 1. You will need to upload your couple photo either on Instagram or Twitter. We will select a winner with the most romantic and adorable story, and they are entitled to win a Romantic dinner for two at a fine dining restaurant.